In order to run these examples, you will need to install AirCONICS, if you have not done so already. There are other examples included to illustrate using the liftingsurface class. For example, wing_example_box_wing.py produces the blended box wing discussed in detail in Section 9.3.1 of the book. 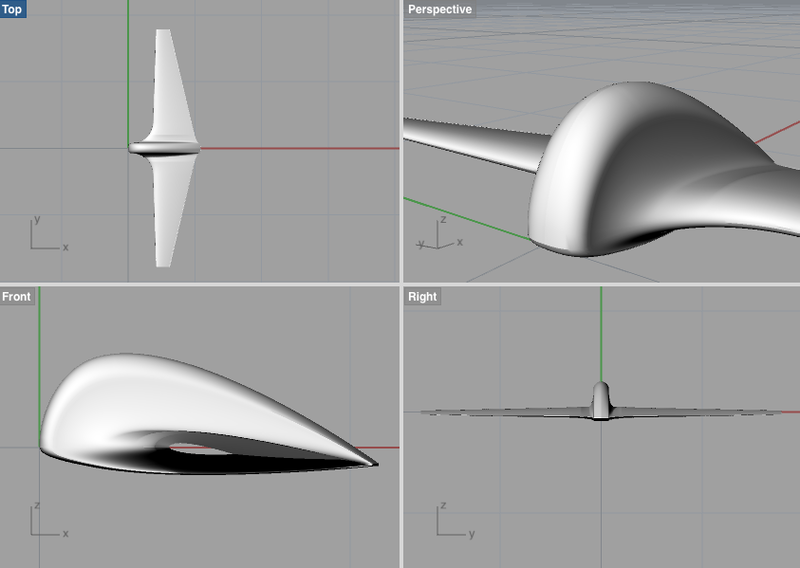 The script wing_example_Jetstream31.py reconstructs the wing geometry of a commuter airliner, the twin turboprop BAe Jestream 31. It’s a nice, simple geometry, with which you can explore, for example, the effects of the scaling variables (refer to Figure 8.18 in the book) ScaleFactor and ChordFactor. This example also illustrates the use of high level design variables, such as wing projected area and aspect ratio. 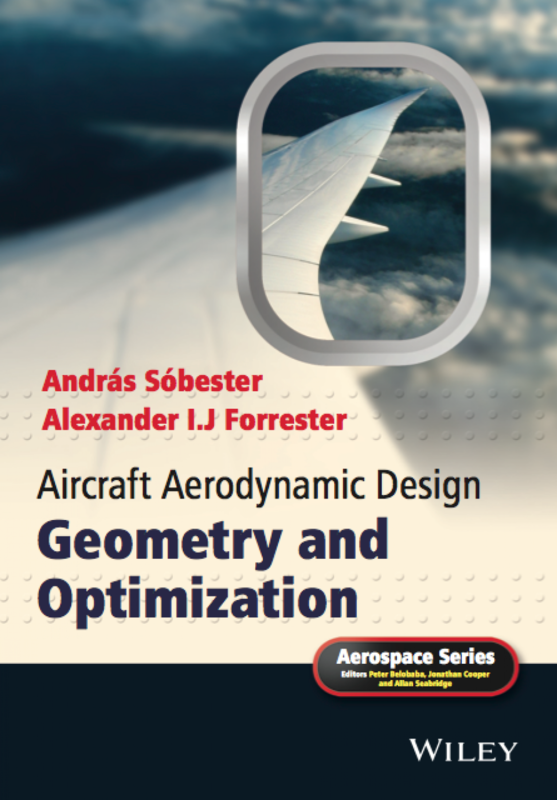 It is quite common in engineering practice that the designer has target values in mind for these (for example the wing area may result from a constraint analysis process). liftsurf can take these as inputs and, through an internal optimization procedure, find the ScaleFactor and ChordFactor that yield these area, aspect ratio, etc. values. In wing_example_Jetstream31.py we set two target values: an aspect ratio of 10 and an area of 25.08. The target values each have a weighting associated with them (the optimizer’s objective function biases the solution with these), though in this example their value is of little relevance, as the two numbers (aspect ratio and area), in conjunction with the user-defined epsilon-functions (twist, dihedral, etc.) define a wing unequivocally. The weighting would matter if we also wanted to specify, say, a span, as there are countless trios of these numbers that cannot be satisfied at the same time by a wing – in this case the optimizer would look for the best compromise, with the weightings defining the relative importance we wish to assign to each target. Here is a further initial experiment you may wish to try. Open a fresh document and run the script transonic_airliner.py. When it comes to building a 3D wing model, the key function in the Aircraft Geometry Toolbox is liftsurf. As ever, help liftsurf is a good place to start, but, considering that this is a rather more complex beast of a function, we have also included two example scripts. The blend – like any other spanwise geometrical feature – is achieved in liftsurf by defining the relevant variables (twist, dihedral, chord length, airfoil shape) as a function of the Epsilon spanwise, curvilinear coordinate. How to export these surfaces for use elsewhere? An alternative offered by liftsurf is to export a series of streamwise sections through any wing model built – you can do this by including a 2 in the LiftSurfInput.LSPlotRequired vector.